The Social Security Administration (SSA) has released an updated data table detailing disabled worker beneficiary statistics by the calendar year, quarter, and month. With 2015 fully complete, we can now analyze how last year compared to prior years in regards to disability applications, awards, and terminations of benefits. 1. What is the Date Last Insured? 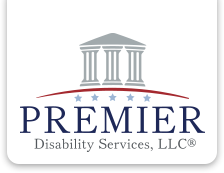 For Social Security Disability benefits, the date last insured (DLI) is the last day of the quarter a claimant meets insured status for disability or blindness. Social Security Disability Insurance (SSDI) benefits are much like an insurance policy. As we work we pay into Social Security through FICA taxes. When an individual stops working due to a disability (or otherwise), they stop paying into the Social Security system. Eventually, their coverage will expire on a particular date. This date is known as the date last insured.